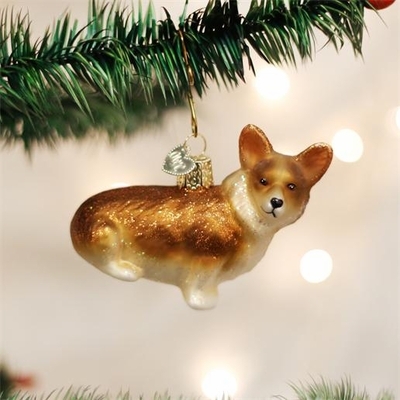 Home > Old World Christmas - Traditional Glass Christmas Ornaments > Old World Christmas Glass Ornament - "Welsh Corgi"
Welsh Corgis are one of the oldest breeds of dog, and have long been used for herding. Loyal, fun-loving, confident and intelligent, they are easily trained, making them great family pets. Welsh folklore says the Corgi was a gift from woodland fairies, and the marks on their coats are from the fairy harnesses.